The Arizona Diamondbacks didn’t necessarily win their first game of the season, but they didn’t lose it either. 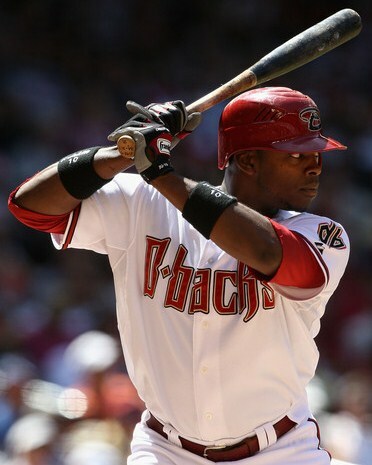 Playing in Colorado against the Rockies, the Diamondbacks took a 4-3 lead when Justin Upton hit a 3-run home run against starting pitcher Umbaldo Jimenez in the fifth inning. 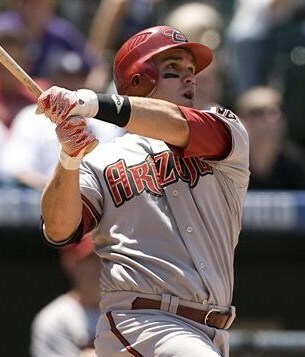 The D-backs added to their lead when Miguel Montero hit a 2-run homer the very next inning off the Rockies ace. Leading 6-3 in sixth inning, the game was far from over. In the bottom of the sixth, Jose Lopez hit a solo home run off Diamondbacks starter Ian Kennedy to make the score 6-4, but the next inning is when the game really got interesting. With two outs in the bottom of the seventh inning and Todd Helton on first and Carlos Gonzalez on second, D-backs Reliever Juan Gutierrez struck out Ty Wigginton to seemingly end the inning. The ball skipped in the dirt which forced Catcher Miguel Montero to make the out at first. As he scooped up the ball, his cleat got caught in the grass causing him to short-hop the throw. Wigginton ended up safe at first and advanced to second on the errant throw, which ended up in right field. Gonzalez scored from second, Helton advanced to third, and the inning was still alive for the Rockies. The next batter, Juan Lopez, hit the ball to Melvin Mora at third who made another throwing error pulling first baseman Juan Miranda off the bag (This was not ruled an error, but I felt the play should have been made for the out). Lopez was safe at first, Helton scored from third, and Wigginton advanced to second. It all seemed like a flashback to last year, when the bullpen struggled to close out games. Finally, the Diamondbacks make the third out when Gutierrez struck out Chris Iannetta, but by then the score was tied at 6 heading into the eighth inning. At the end of nine innings, the game remained tied and went into extra innings. In the top of 10th inning Juan Miranda bunted Chris Young to second and Justin Upton advanced to third. Miranda’s sacrifice bunt was the first out of the inning and the Diamondbacks had a great scoring opportunity with one out and runners on second and third. Melvin Mora was up next and hit the ball to shortstop Troy Tulowitzki, who was playing in to cut of the play at home. Justin Upton was heading home on contact and was easily thrown out at the plate for out number two. This left Chris Young at third and Mora safe on first. Miguel Montero was up next and he struck out for the third out. The Rockies did not score in the bottom of the tenth. 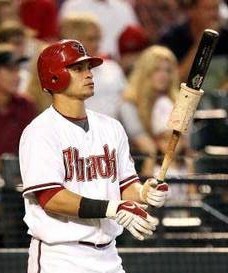 Gerardo Parra singled to left to lead off the top of the eleventh inning. Pitcher Barry Enright was pinch-hitting and struck out trying to bunt on the third strike. With one out, Willie Bloomquist singled to right and advanced Parra to third base. With Kelly Johnson up, Rockies Pitcher Matt Lindstrom threw a wild pitch, which allowed Parra to score the go-ahead run. The Diamondbacks did not score after that, but J.J. Putz came in as the closer for the bottom of the eleventh inning and got three outs in a row to end the game. The Diamondbacks had a win in their season opener 7-6. It wasn’t a pretty win, and there were lots of blown opportunities to end the game before the eleventh inning. Two mistakes in the seventh inning led to two runs that allowed the Rockies back into the game. A blown opportunity to win in the tenth inning with one out and runners on second and third could have cost the Diamondbacks, but didn’t. There was additional help when a fan interfered with a foul ball hit by Todd Helton. The umpire ruled it the second out of the fifth inning after Carlos Gonzalez led off the inning with a double. It wasn’t even so much that the Diamondbacks won, as the winning run was scored on a wild pitch by the Colorado Rockies. It was one of those games where you could say that the Colorado Rockies lost the game. Game two of the series saw the Rockies bounce back and beat the Diamondbacks 3-1, and game three was postponed due to snow flurries. The Diamondback will not play too many games this season where their opponent will actually lose the game, so they will have to learn to capitalize on the opportunities that present themselves in order to win games. The Arizona Diamondbacks play a three game series against the Cubs starting today, and will play their first home game of the season this Friday, April 8th against the Cincinnatti Reds starting at 6:40pm. ~ by Troy Erickson Realtor on April 4, 2011.